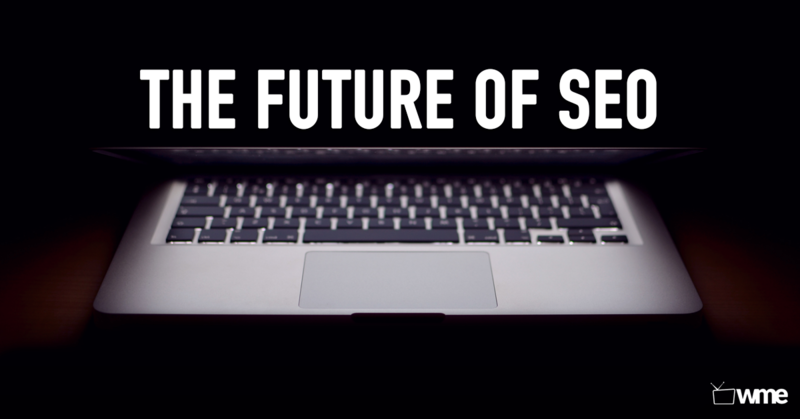 Simply put, the future of SEO lies in our Three Cs of content marketing strategies: Content, Connectivity, and Creativity. Anyone with a high school degree ought to be able to write clearly, succinctly and grammatically correct, but the future of SEO lies in content that is compelling. Your companies message must be communicated clearly and lead your customer quickly into understanding your unique story. One way to create compelling content is to branch away from simple black text on a white screen, but rather to incorporate engaging videos and images. There must be an excitement and buzz around what you have to offer and nothing can communicate what you have to offer clearer than a captivating video or image. Videos are able to show exactly what you offer quicker, clearer, and to a deeper level over that of any other source of communication. Additionally, what I’ve seen as a rising trend apart from strong, descriptive text and compelling video is the use of “infographics.” Information graphics are images that display content in a visual way that is compelling and can often times communicate information clearer than traditional written narrative. They are especially useful in that they are able to communicate vast amounts of detailed data points in an easily presentable clear and logical way. In order to present these well, the image ought to induce the viewer to think about the content rather than about the design. They should detail data at several levels, from a wider overview to deeper complexities. They should also serve a clear purpose by sticking to one theme or subject. I don’t know about you, but whenever I make a purchase that’s more than $20 dollars, I go straight to the customer reviews. Yelp and Amazon are the two that immediately come to mind. This is because the word of another buyer is worth more than the company’s word because a customer will usually give an honest review while the company’s advertising is intentionally biased. In fact, this word of mouth advertising is arguably the number one way a business ought to spread its brand. To have your customers market your brand for you means to strip all the barriers down between your product or service and your end user. And only once you have this trust can you earn a true customer. But the really fascinating thing about our world today is that connectivity and word of mouth advertising couldn’t be easier. I think it’s safe to say that absolutely everyone who has access to the Internet has some sort of social profile or channel. Whether it’s through Facebook, Twitter, Pinterest, YouTube, or dozens of others, everyone everywhere wants their opinions to be heard. This is why social media is such a powerful tool for the future of SEO. The stronger your companies presence is among your end user, the more validated your network becomes and the more validated your online presence becomes. This is key to creating a strong website. What makes your business remarkable must have an outlet in which to be remarked about. And social media platforms are just that, a stage for spreading your story in an unforgettable way. Visually, you must have a compelling and aesthetically pleasing website. The average visitor to a website gives you their initial attention for only a few seconds. This gives you a window of time to grasp attention and to tell your story in just a handful of words. You need to demonstrate your product or service right up front and in a way that is understandable, compelling and creates a sense of wonder that will make your visitor read on. You must provide a snapshot of what makes your product or service different from any other. In order to differentiate yourself, you cannot make a “me-too” product. You must be creative and communicate that clearly in a matter of seconds. A simple start to achieving this ingenuity is to tell your story with an image or a compelling video. People don’t want to have to read a lot or even navigate “below the fold.” If you can tell your story in an image, you can be sure you’ve had a deeper and lasting affect in the viewer’s mind. In addition to being visually compelling, your site must navigate seamlessly. In order for your viewers to understand what you have to offer, they need to be able to understand the depth of your company. They need to be able to navigate around your site in order to go on a journey through what interests them about your company, ultimately leading toward conversion. Lastly, consider all the behind the scenes technical skills for SEO as being rather teachable. With enough practice, a website administrator can hire a graphic designer and an analytics marketer to put together a site that functions well in search engines. Someone with basic training can handle all the optimization of keywords, niches, alt tags, backlinks inbound clicks, etc. Therefore, in order to make a good website great, the site must have ingenuity, creativity and strong vision for what is a compelling story that is worth reading on and worth being remarkable.